Being the makeup addict I am, I dropped by my local London Drugs to see if there was any new products while I was out shopping. I love their selection of makeup and they always have upcoming collections that I can't find at other drugstores. To my surprise I went on the day that all their major sales on cosmetics were ending. I've never tried NYX and it's only at certain drugstores around where I live. It's usually quite pricey but they had a sale for 25% off all NYX products, so this was my opportunity to try it out. 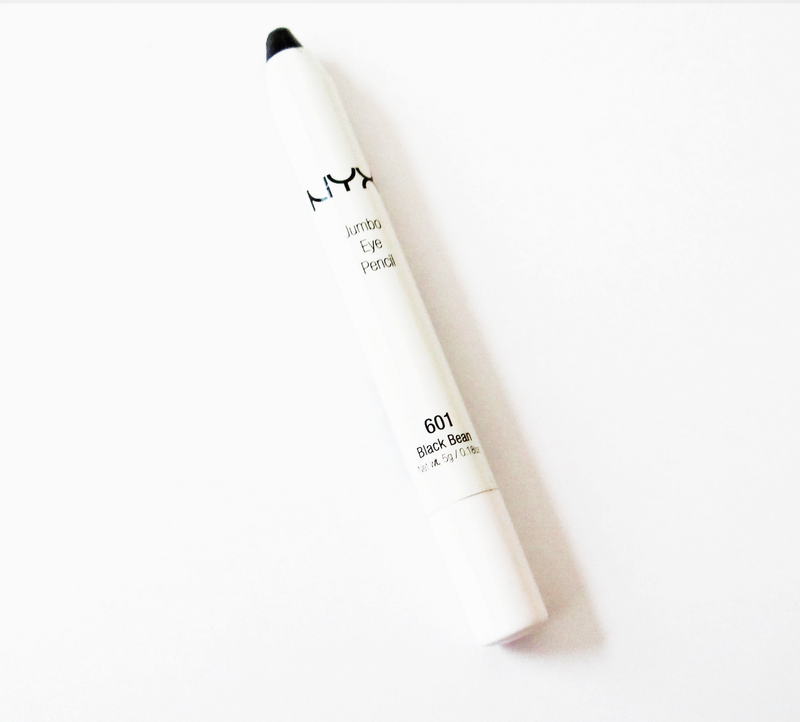 Through reading blogs and watching YouTube videos, the most raved about product is the the NYX jumbo pencils. They work as an eyeliner and a eye shadow. "Eyeshadow and eyeliner all in one with creamy easy to blend formula that glides on like silk and lasts on all day." 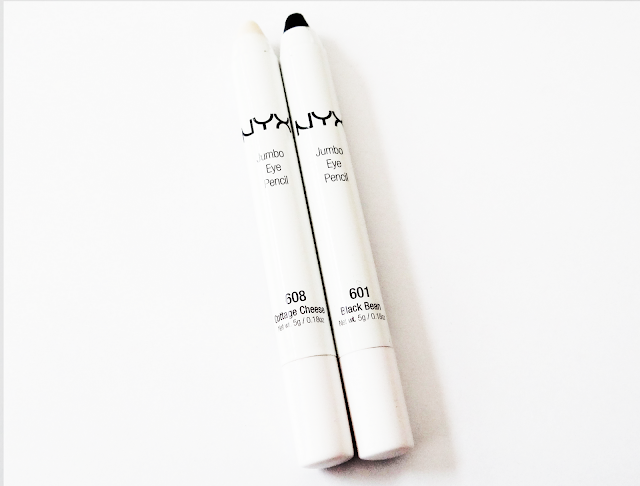 I picked up these eye pencils in the shades Black Bean and Cottage Cheese, ($5.99 CDN) on sale they were $4. 49 CDN. I was looking for Milk but they didn't have the shade, so I decided that Cottage Cheese would be the next thing closest to Milk. I don't know how I'm going to sharpen these pencils but many say that a little goes a long way so maybe I wouldn't have anytime soon. Black Bean as the name, it's a dark black color. Cottage Cheese is a frosty white color. 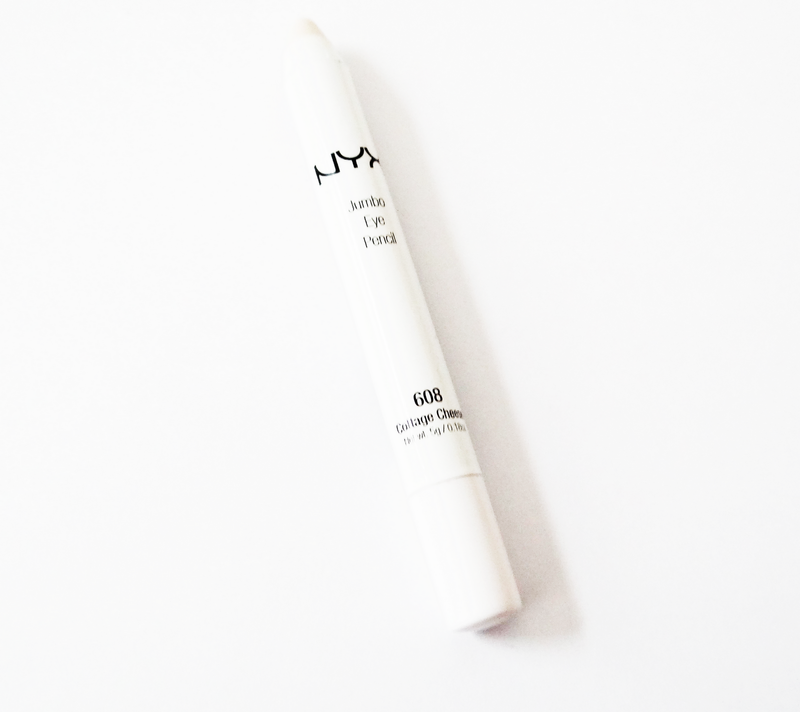 When I first applied these onto my eyes it was very creamy and soft. The eye pencils blended easily and it worked great as a base to enhance the color I put on top. Throughout the day I did find that it did find that my eyeshadow did crease, next time I will be using a primer underneath. Swatch of NYX Cottage Cheese - top one swipe, bottom blended in. Swatch of NYX Black Bean - top one swipe, bottom blended in. Overall I love that this can be used as a eyeliner or an eye shadow. I will be definitely be picking up more colours.